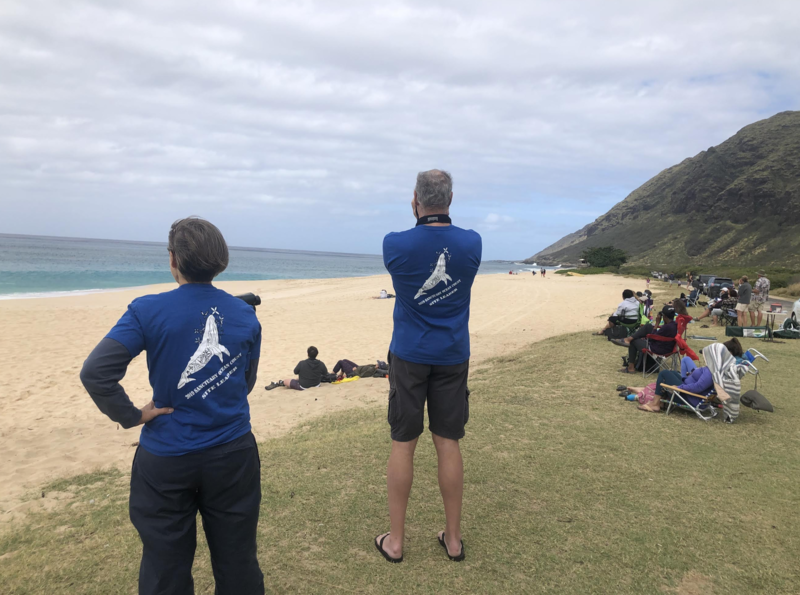 More than 570 volunteers gathered data from the shores of O‘ahu, Kaua‘i and Hawai‘i Islands during the first event of the 2019 Hawaiian Islands Humpback Whale National Marine Sanctuary Ocean Count, and on Maui with the Great Whale Count by Pacific Whale Foundation. During the federal government shutdown, the National Marine Sanctuary Foundation is coordinating Sanctuary Ocean Count events. 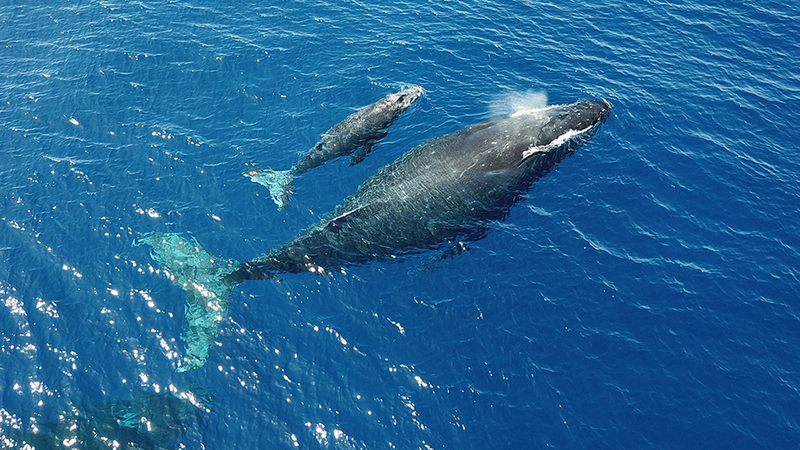 Sanctuary Ocean Count and Great Whale Count volunteers observe humpback whales from Kaua‘i, O‘ahu, Hawai‘i and Maui. Courtesy photo. Combined, volunteers collected data from 51 sites across all the main islands. A total of 168 whale sightings were seen during the 8:30 to 8:45 a.m. time period, the most of any time period throughout the day’s count. 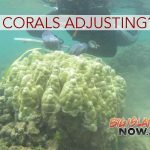 Sanctuary Ocean Count volunteers collected data from 39 sites on the islands of Hawai‘i, O‘ahu and Kaua‘i on Jan. 26. A total of 96 whale sightings were seen during the 8:30 to 8:45 a.m. time period, the most of any time period throughout the day’s count. 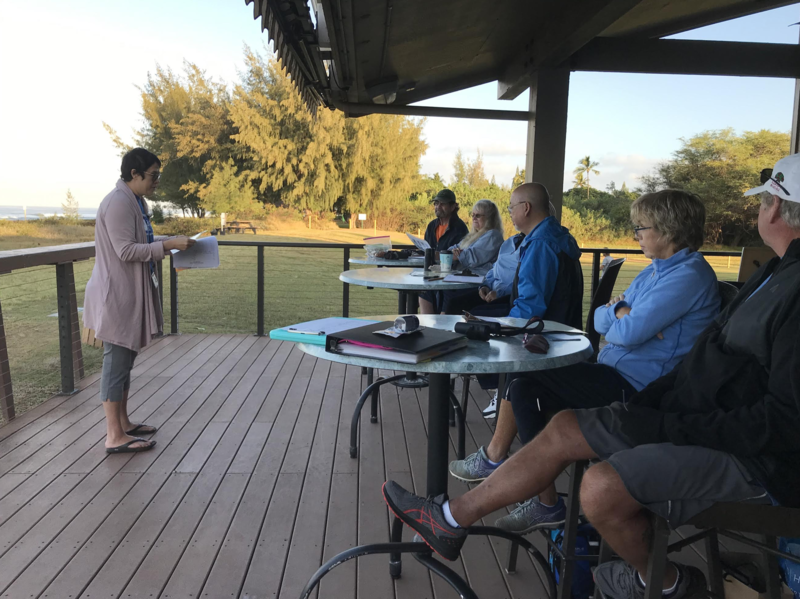 Great Whale Count volunteers collected data from 12 sites across Maui on Jan. 26 during timed intervals between 8:30 and 11:50 a.m. A total of 359 whales were seen throughout the day, with 72 whales counted during the 8:30 to 8:45 a.m. time period, the most of any time period throughout the day’s count. Weather conditions were not ideal for whale viewing at most sites across the state due to strong winds and high surf. Those factors made visibility difficult for viewing whales. Although some sites were fortunate to have perfect whale viewing conditions with partly sunny skies. 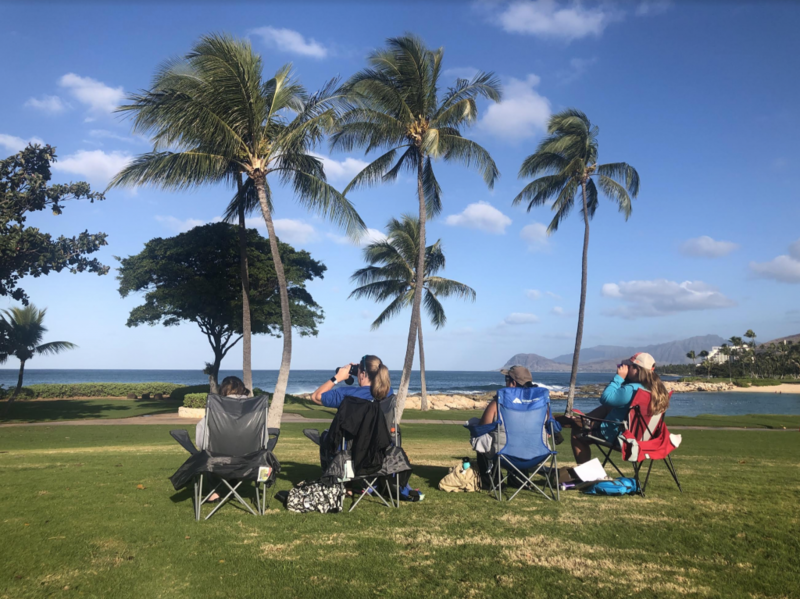 A variety of other species were also spotted during the count including sea turtles, spinner dolphins, Hawaiian monk seals, multiple sea bird species and more. 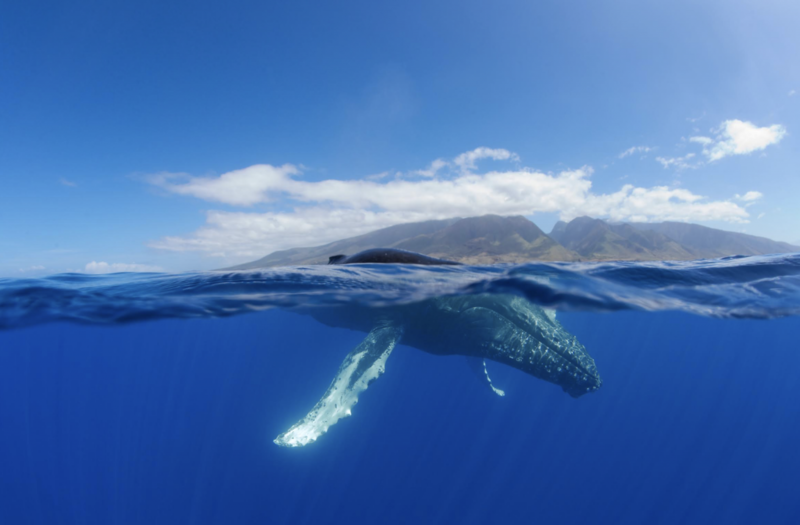 Ocean Count promotes public awareness about humpback whales, Hawaiian Islands Humpback Whale National Marine Sanctuary, and shore-based whale watching opportunities. Volunteer participants tally humpback whale sightings and document the animals’ surface behavior during the survey, which provides a snapshot of humpback whales activity from the shorelines of O‘ahu, Kaua‘i and Hawai‘i Islands. The annual Great Whale Count by Pacific Whale Foundation brings volunteers together to count whales from shore as part of a long-term survey of humpback whales in Hawai‘i, with 12 survey sites along the shoreline of Maui. This event provides a snapshot of trends in relative abundance of whales and is one of the world’s longest-running citizen scientist projects. Both counts will take place three times during peak whale season: the last Saturdays in January, February and March of 2019. Preliminary data detailing Sanctuary Ocean Count whale sightings by site location are available online. 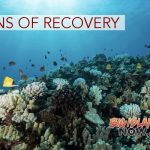 After the shutdown, additional information will be available on Hawaiian Islands Humpback Whale National Marine Sanctuary’s website. Pacific Whale Foundation’s Great Whale Count data may be found online with additional information at pacificwhale.org.